Screwy Decimal: New Library Motto? "Keep Calm and...." is out. "Shut Up and...." is in. "Shut Up and Carry On." Paula Abdul had "Shut Up and Dance." 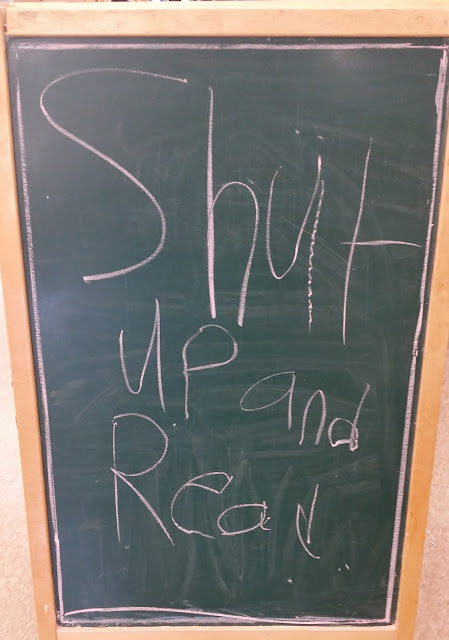 You have "Shut Up and Read." There must be others. This could be a thing.